Dr. Kassim believes that the ultimate goal of chiropractic care is to correct disturbances in the nervous system, helping the signals in your body flow freely and function properly. With chiropractic care, your body can function at its highest level. 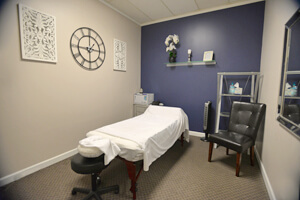 Specializing in several different and gentle adjustment techniques, Dr. Kassim has the ability to tailor and select the best style that will bring you optimal results. Your visit to our practice may include methods such as Diversified, Thompson Technique, Activator Method or Toggle-Recoil for upper cervical issues. With several highly trained massage therapists in our practice, your muscles are in excellent hands. Musculoskeletal work can have an extremely positive impact on reducing stress within the body and improving circulation, helping to promote quicker healing. We’re pleased to offer deep tissue, prenatal, myofascial release, and neuromuscular therapy in addition to ancient techniques like cupping. 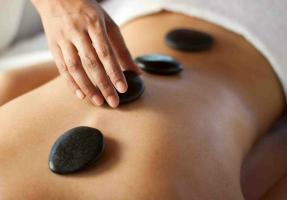 We also offer hot stones and raindrop therapy to reduce stress and promote relaxation. 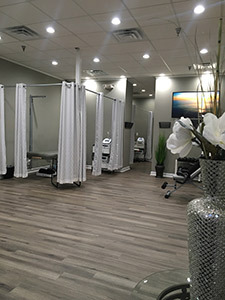 Our therapists don’t just offer patients massages, but will provide exercise and stretching protocols that will address your specific condition. Cupping removes any stagnation in the body and opens the meridians so that the qi (energy) can flow freely. It also helps to rejuvenate certain meridians and organs that are not functioning at their best. Can help reduce anxiety, relieve muscle and joint pain as well as improve labor outcome. Increase lymph flow and help flush out waste. The heat from the stones penetrate into your deeper body tissues, helping your blood vessels open. Deep Tissue massage therapy can break up and eventually erase scar tissue in the body. Sometimes, disc materials in your spine can move out of place or become compressed due to injury or everyday life, causing pain, numbness, and limited function in patients experiencing the issue. At Healthcore Clinic, we use innovative technology to relieve spinal compression through a treatment known as spinal decompression. In spinal decompression, negative pressure is put on each disc, relieving pressure and pain. 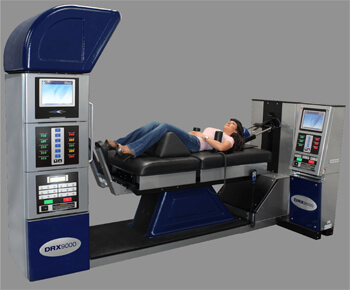 At Healthcore Clinic, we use a machine known as the DRX9000 to slowly and gently elongate your spine, returning necessary space to your discs. For patients dealing with disc herniation, sciatica, or disc degeneration, we may recommend treatment with the ABS Spinal Decompression Machine, a state-of-the-art treatment method that uses a computer to restore adequate space to the discs in your spine during 20 minute sessions. If you suffer from a disc problem, we encourage you to contact our practice to learn about your options before turning to surgery. New to Healthcore Clinic, therapeutic ultrasound uses pulsed ultrasound to help treat acute and chronic pain, edema and muscle spasms while also encouraging quicker wound healing. So, how does it work? Therapeutic Ultrasound helps to improve circulation and lymphatic drainage, which in turn allows for better nutrient and waste transport. Therapeutic Ultrasound is often incorporated into treatments for patients who’ve experienced pain for quite a while or those who need an extra boost on the path toward achieving their health goals. 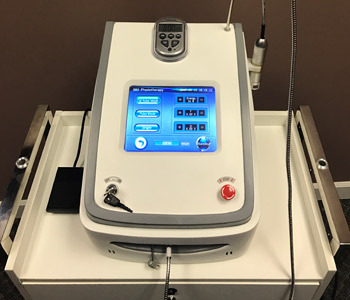 Infrared (Class IV) laser therapy is a unique method used to reduce pain and inflammation in the body caused by different conditions. With its deep and concentrated energy, laser therapy works to accelerate tissue repair and cell growth. Orthotics are devices worn in your shoes that provide correction to your feet, helping them to function more efficiently. Poor foot function and alignment may be the cause of various pains such as foot pain, hip pain, knee pain and back pain. Let us help you feel better! To develop a treatment plan completely specific to your needs, we encourage you to give us a call today to schedule your first appointment. If you’ve been involved in an auto accident or work related injury, we have years of experience in assisting patients much like yourself.